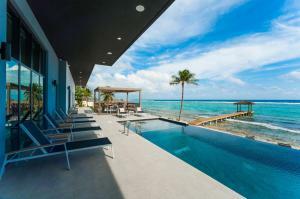 NEW YORK, NEW YORK, UNITED STATES, July 12, 2018 /EINPresswire.com/ — Exceptional Villas, leading luxury villa rental company have revealed that the Cayman Islands is now one of the most popular destinations in the Caribbean. New data gathered from the Cayman Islands Department of Tourism shows that there has been a 16.51 increase or 29,637 more stayovers in the first five months of 2018 in comparison to the same period in 2017. The tourism industry is very important to the island as it is the economic driver that creates jobs for individuals on the island and also helps national development which both visitors and residents benefit from. The Cayman Islands is proving more popular every year as they already achieved a huge milestone in 2017 when they crossed 400,000 stayovers for the first time ever. The Cayman Islands Tourism board are working effortlessly on their strategic tourism plan each year that contains innovative marketing practices and working in partnership to attract and find the right mix of visitors to their beloved islands. The Cayman Islands will continue to be boosted this year by airlines such as Southwest Airlines and JetBlue who are adding even more flights to the islands this fall. The Cayman Islands is a British Overseas Territory that is 102 square miles and consists of three islands Grand Cayman, Cayman Brac and Little Cayman and is located south of Cuba. 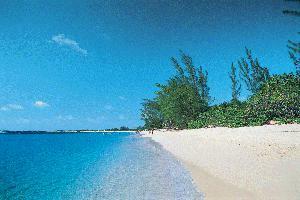 Grand Cayman is the largest of the three islands with an area of 76 sq miles and is also the most developed island. Grand Cayman's two sister islands, Cayman Brac and Little Cayman, are about 90 miles north-east of Grand Cayman and have areas of 14.7 and 11.0 sq miles. Emma O’Shea who is the Cayman Islands specialist for Exceptional Villas said: “ We have noticed a huge increase in demand for The Cayman Islands over the last two years". There is a lot more interest in the islands and we think this has a lot to do with how easy it is for clients to access it traveling from the UK and the United States. Our bookings have doubled over the last year and we expect this to continue. 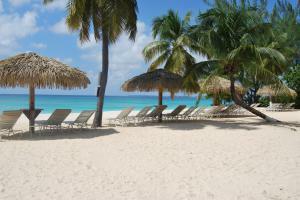 The Cayman Islands Tourism board are doing a great job and it is beginning to show. 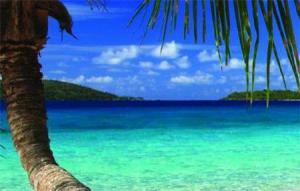 The villas on the island are some of the best in the Caribbean. 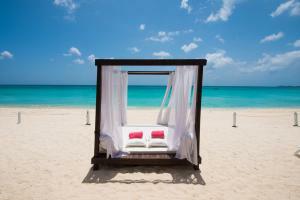 There is also a lot of amazing things to do in the Cayman Islands. To find out more Click Here. Exceptional Villas is a luxury villa rental company featuring only the best hand-picked and personally inspected properties in the world. The company has clients from all over the world. Exceptional Villas have been in the travel business for over 25 years and offer a bespoke service to their clients. This includes matching the perfect villa for each of their clients and providing a complimentary concierge service. This service includes organizing all aspects of the client’s vacations such as VIP airport arrival, ground transportation, restaurant reservations, tours and excursions, water sports and pre-arrival stocking. Unlike some of their competitors, they do not provide a membership fee. Likewise, their villa experts are indeed experts. They visit every single villa and are filled with a wealth of information regarding each villa, as well as each destination. Exceptional Villas take total pride in the customized service they offer.